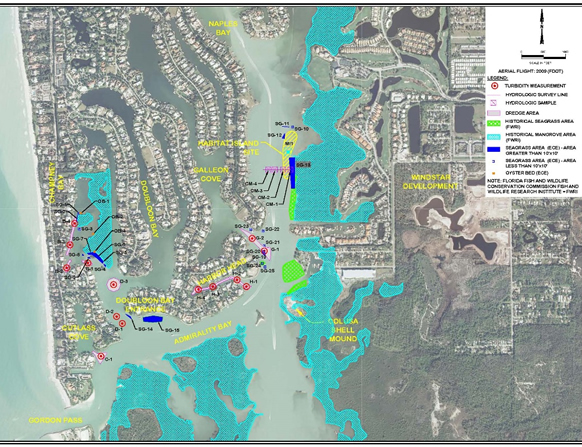 Summary: Erickson Consulting Engineers, Inc. (ECE) is responsible for conducting the field investigations necessary to plan, design, permit and conduct a 39,000 CY maintenance dredging project for the Port Royal canal system in Naples Bay. Benthic and terrestrial habitat mapping and sampling was conducted to map, characterize and quantify benthic and wetland resources including seagrass, oyster reef and mangroves. In addition, ECE conducted macro-invertebrate sampling and water quality sampling in support of the project. A habitat impact assessment was prepared to procure the Federal and State permits. Identification of threatened and endangered species. Seagrass Survey – Surveys were performed in accordance with Florida Fish and Wildlife Conservation Commission (FWC) guidelines. The boundaries of all seagrass beds greater than 2 m2 were mapped using handheld GPS. Seagrass beds smaller than 2 m2 were mapped as point features. Seagrass cover and species composition were recorded within 1 m2 quadrants sampled within each mapped bed. Acreage of potential impacts to seagrasses was then quantified by overlaying the dredging template with the mapped seagrass beds. 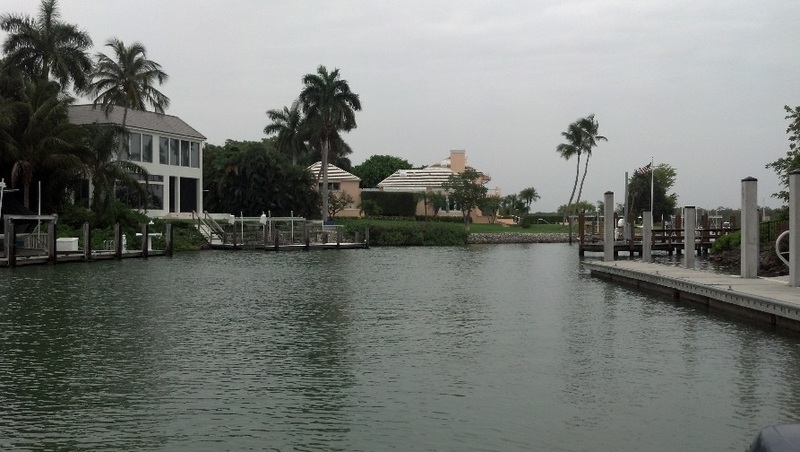 Oyster Bed Survey - The survey for oyster beds was conducted concurrently with the seagrass survey. The boundaries of all oyster beds greater than 2 m2 were mapped using handheld GPS. Oyster beds smaller than 2 m2 were mapped as point features. Acreage of potential impacts to oyster beds was quantified by overlaying the dredging template with the mapped oyster beds. Mangrove - As lateral trimming may occur as a result of the project, the waterward extent of all red, black, and white mangroves were mapped. Macro Invertebrate Sampling – Macro invertebrate sampling was conducted at three locations to document the existing species.